Become part of our team of caring direct care professionals! Motivated people are needed to assist adults with developmental disabilities become more independent by offering guidance and support for daily living activities, self-help, and social skills following prescribed support plans, and to encourage personal choice and community integration through various activities. Positions are available in Patten and Island Falls. 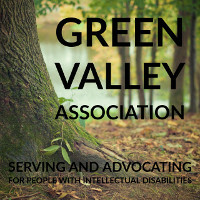 Green Valley Association is an equal opportunity employer. Content copyright © 2017 Green Valley Association. Banner photo by Joanna Malinowska on Freestock.org (copright-free). Tree photo created with Adobe Spark/Creative Commons.